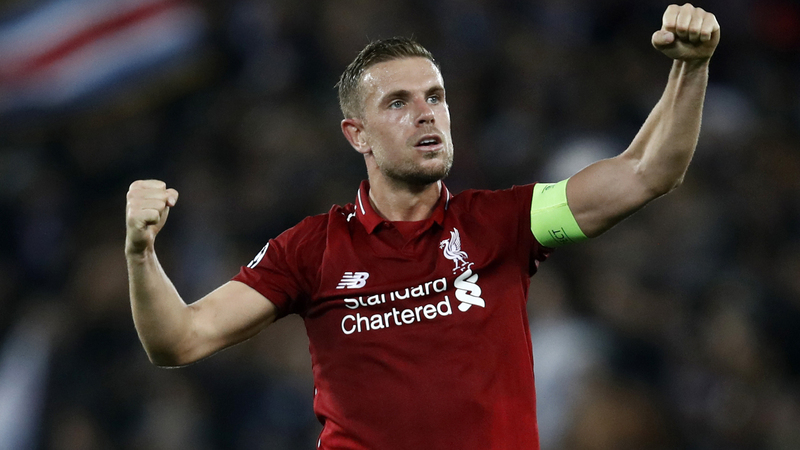 Jordan Henderson has been cleared to feature against Fulham on Sunday in a boost to Liverpool's hopes of getting back to winning ways. Naby Keita, who watched the shock midweek Champions League defeat to Red Star Belgrade from the bench, and Joe Gomez, a second-half substitute, are also available. Henderson's return after nearly a month out with a hamstring injury is particularly timely following two below-par performances from Jurgen Klopp's midfield. Questions were raised over Fabinho's display in last weekend's draw at Arsenal and the subsequent defeat in Serbia left the Reds without a win in two competitive matches. "For the weekend they are all available," Klopp said of the trio. "When Jordan is not available we always miss him. I would love to say Hendo would have changed the whole game [against Red Star] but I'm not really sure about it. "The whole game was kind of strange. And the game before that [against Arsenal] was an okay game. Maybe a few people are surprised Arsenal is a good team. "We were 1-0 up, we had chances and we didn't score, so it was 1-1. That's all. it was nothing to do with players in or out, it's just like it was. "It's good to have them back and it's pretty much the first time all midfield players apart from Ox [Alex Oxlade-Chamberlain] are available. "Then it's another thing to make decisions about who starts. It's all about then fitness level, form shape whatever, then we will see." Gomez is believed to have been battling an Achilles problem, although he and Henderson are both part of Gareth Southgate's latest England squad. Keita, meanwhile, has not featured since the scoreless draw with Manchester City in October, having picked up a hamstring injury on international duty.